Every traveler has a travel bucket list. The more one travels destinations, attractions, and experiences are crossed off the list, but what’s funny is that more appear. 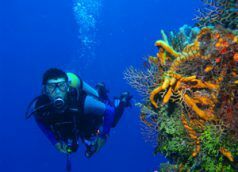 After having traveled extensively through Europe, Central and South America, and the Caribbean, I have seen some good dives. It all started when I got certified in a.